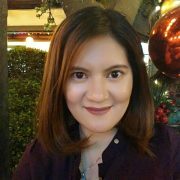 A Journalism graduate and a reluctant media practitioner, Jasmine Solana started her career covering crime news as well as writing political and business articles for a Japanese daily. She then moved on to serve regional media websites in the United States before discovering technology and Bitcoin – and has been immersed in it ever since. Jack Liu has teamed up with cryptocurrency exchange OKEx to roll out Float SV, a Bitcoin SV-based exchange built on top of the OKNodes Program. With Bitcoin SV staying true to its roadmap of enabling massive, secure on-chain scaling, there has been an explosion of growth—all organic—within the ecosystem. This week, we dig into the latest scaling developments from the Bitcoin SV node team, Bitgraph, the new Python BSV wallet SDK, a developer documentation series from the Money Button team, and the latest Wright Vision. This week's episode brings us new updates in the ecosystem as BSV finally unleashes the true power of Bitcoin's original design, protocol and Satoshi Vision. The scheme is called CashBack, and it allows users to earn BSV along with other coins for trading on the exchange through maker orders, according to Voltaire. There’s a lot of excitement happening as the Bitcoin SV (BSV) ecosystem builds the world’s new money and global enterprise blockchain, and this week’s episode of The Bitcoin Vision recaps the recent developments taking place in the network. Lithuanian-based fintech company CoinGate has rolled out support for BSV, allowing its users to natively trade and accept the cryptocurrency. The third installment of the CoinGeek Conference will be held at The Carlu in downtown Toronto from May 28 to 30. Malta-based crypto exchange OKEx announced that it has added four new crypto derivative pairs—BSV, as well as QTUM, DASH, and NEO. True to its word, London cryptocurrency exchange Voltaire.cash has now enabled Bitcoin SV (BSV) trading on its platform. JPMorgan Chase is about to become the first U.S. multinational bank to roll out a cryptocurrency that will be used to "instantly settle payments between clients." The Bitcoin Vision is back this week—this time coming to you from Melbourne, Australia. It's the perfect environment to talk about the explosion of creativity in Bitcoin SV, the rebirth of the original Bitcoin. The BSV version 0.1.1 adds scaling improvements that will deliver "crucial capacity and performance increases to transaction propagation." After Bitcoin SV (BSV) Node developers and miners lifted the OP_Return data size limits to 100KB, activity immediately took off as users started posting texts, videos and even pictures. The sites, which will be equipped with Bitfury’s BlockBox AC mobile datacenters, will be powered by clean energy from the Itaipú hydroelectric power plant. Effective Feb. 15, TheBigCoin’s “cryptocurrency payments processing service will be shut down permanently,” the firm announced in an email to its customers last week. Kik has had enough, but can it kick back at SEC? It’s unclear whether the commissioners have already taken a vote, but when the SEC enforcement action does come out, Kik is ready to fight back in court if necessary—for all the good it will do them. More than 2,000 delegates from around the world are expected to attend Chain Plus+ Korea, one of the most influential blockchain summit and conference in South Korea. After shutting down its operations in Israel and Texas, cryptocurrency mining company Bitmain has reportedly decided to also close its office in Amsterdam. Under the new regulations, blockchain information service providers are within the purview of the CAC and a range of penalties has been outlined for the violation of the provisions. After a successful inaugural round in Tokyo last year, the Japan Blockchain Conference (JBC) is making its way to Yokohoma this January—and over 150 cryptocurrency and blockchain companies from around the world have signed up to participate. The bComm Association, an industry organization whose goal is to help grow the new Bitcoin SV ecosystem, has launched “BSV Weekly,” a weekly blog post that summarizes all BSV-related developments—from wallets and services declaring #WeChooseSV to new tools being rolled out for BSV, and so much more. Italian securities regulator Commissione Nazionale per le Società e la Borsa (CONSOB) has suspended two projects that were reportedly offering fraudulent crypto investment schemes in the country. bsv, a library for cryptography, key management and transaction building for Bitcoin SV, was introduced early this week, marking yet another milestone for the only remaining cryptocurrency that follows the original Satoshi Vision for Bitcoin. Adoption momentum for Bitcoin SV (BSV), the only coin that follows the original Satoshi Vision for Bitcoin, continues to build. This week, more services have started integrating the coin, including Atomic Wallet, the multi-currency custody-free wallet that currently supports more than 300 coins and tokens. Israeli news outlet Globes reported on Monday that Bitmain’s development center in Ra’anana “will close this week,” leaving all its 23 staff members without a job. The Metanet project will power and integrate the Internet through the Bitcoin blockchain. nChain, the blockchain technology research and development firm, will develop the Metanet exclusively on Bitcoin SV (BSV), which follows the original Satoshi Vision for Bitcoin. Squire Mining Ltd. announced on Friday that is has entered an agreement to acquire crypto mining assets owned by CoinGeek and its affiliates, paving the way for the formation of the largest publicly-owned crypto mining operation in the world—henceforth known as CoinGeek Technologies Ltd.
At the Bitcoin BCH Miners Choice Summit last November 2, Dr. Craig Wright discussed what Bitcoin was meant to be, and why miners should support the original Satoshi Vision for Bitcoin by mining with Bitcoin SV and joining SVPool. At the CoinGeek-sponsored Bitcoin BCH Miners Choice Summit in Hong Kong last November 2, nChain’s Jimmy Nguyen and Steve Shadders took the stage to explain the four pillars on which Bitcoin SV sits: stability, scalability, security, and safe and instant transactions. Ryan X. Charles, the CEO of Money Button, posted a YouTube video in which he explained the company’s position in the Bitcoin Cash hash war, while also shooting down accusations that he’s siding with nChain, the development team behind Bitcoin SV, because the firm is Yours Inc.’s largest investor. Unlike other platforms that have prematurely given the BCH ticker to ABC after it took a temporary early lead, thanks to an artificial burst from “rented” hash power subsidized by Roger Ver’s Bitcoin.com and from Bitmain Technologies, Remitano opted for the “responsible” route—that of the Bitcoin way. CoinGeek is highlighting the platforms that have opted for a neutral stance ahead of the Bitcoin BCH protocol upgrade, offering their users the chance to put their money where they believe Bitcoin BCH is headed. Data on Coin Dance showed that as of Nov. 6, SVPool holds 10.42% of global Bitcoin BCH hash power. As of Friday, SVPool already accounts for 8.33% of the Bitcoin BCH global hash power, while on a seven-day basis, SVPool is also up to 4.4%. When the August 2017 hard fork took place, it did not create a new coin. Bitcoin Cash (BCH) was the rebirth of Bitcoin on the original blockchain—and one that stays true to the Satoshi Vision (SV). Despite being officially opened for business just last October 22, there’s no denying that SVPool—the public mining pool for Bitcoin Cash (BCH)—is growing steadily. StackTrek launched its blockchain-focused training program, StackLab, in Iloilo City, located in the central part of the Philippines, to help the pool of developers and engineers build their skillset and work on blockchain tech—with particular focus on Bitcoin BCH, the one true public blockchain. Coinbase has escaped a class-action lawsuit accusing the San Francisco-based company of artificially inflating the price of Bitcoin Cash (BCH) in December 2017. For now, that is. To give us a better understanding of SVPool, Dr. Wright took a break from his busy schedule to discuss the SVPool's “miners choice, miners first” philosophy. The wait is over— public Bitcoin BCH mining pool SVPool is now open for business. As a unique conference targeted towards Bitcoin BCH developers, commercial businesses, influential investors and BCH enthusiasts, the three-day CoinGeek Week Conference is the best place for companies to get maximum exposure with the BCH community. The Monetary Authority of Singapore (MAS) has taken it upon itself to “bring together” cryptocurrency companies and the banks, following complaints from crypto operators about the difficulties in setting up bank accounts in the sovereign city state. Russian composer, not to mention Russia’ most prolific investor in new technology, adds a new feather to his cap—becoming a founding director of the bComm Association, which brings together merchants, developers, miners and exchanges in the Bitcoin BCH community creating the first dedicated platform for bCommerce. The Squire unit’s hash rate is 1.5x faster than most commonly used crypto miners on the market, but with only 50% of energy consumption, according to first-phase test results. South Africa-based Bitcoin wallet provider Centbee rolled out the beta release of its Bitcoin BCH wallet, allowing users to send Bitcoin BCH to anyone from their phone’s contact list. Voltaire.cash is using Bitcoin BCH as the base currency for all trading pairs. The exchange promises “no trading fees, forever” to the first 100 traders. For those who didn’t make the cut, Voltaire.cash is also offering zero trading fees for eight weeks following the launch. In this no-holds-barred interview with cryptocurrency news outlet NullTx, CoinGeek founder and Bitcoin BCH supporter Calvin Ayre answers all the important and toughest questions—from personal to professional—from the crypto community. nChain's mining pool BMG Pool has unlocked a major achievement for the Bitcoin BCH network—mining a 23MB block on the BCH chain. Bernstein analysts claimed Beijing-based Bitmain has begun to lose the competitive edge that allowed it to control as much as 85% of the market for crypto mining chips. This week marks another period of growth for the Antiguan-based CoinGeek Mining Division, which already holds the top spot among Bitcoin Cash (BCH) miners around the world. New details have emerged about Squire Mining Ltd's plan to build the next-generation ASIC chips and mining rigs, which will be exclusively distributed by a CoinGeek.com associate. CoinGeek invites Bitcoin BCH miners to the W Hotel in Bangkok on August 30th to discuss plans to allow individual miners to set what maximum block size they wish to accept from other miners. CoinGeek, the conduit for Bitcoin BCH merchant community and platform developers, is coming to London this November for the CoinGeek Week Conference. CoinGeek’s London Party will be mirrored by fellow BCH revelers in other parts of the world, including Hong Kong and Paris. Our August 1 event is mainly a celebration of all things BCH, but expect some special announcements to be made regarding the exciting year ahead for Bitcoin BCH. The parliament of Antigua and Barbuda unanimously approved the resolution to amend the Citizenship by Investment Program (CIP) Act, allowing for payments to be made in Bitcoin BCH and other cryptocurrencies. A New York court has found Dillon Michael Dean, a Colorado-based cryptocurrency pool operator, of fraud charges. Dean’s company, The Entrepreneurs Headquarters Limited (TEH) has been the subject of an early 2018 lawsuit by the U.S. Commodity Futures Trading Commission. With the Bitcoin Cash Day #BCHDay coming in less than two weeks, we expect a lot of parties, socials and meetups will happen around the world to commemorate the return of the real Bitcoin. Coin.Dance data showed CoinGeek holds 19.44% of the BCH global hash power on Thursday, surpassing ViaBTC, which has 16.67%. Cryptocurrency payment processor BitPay is setting foot on New York soil, with a boost from its newly secured BitLicense. The French authorities have issued an arrest warrant for 39-year-old Russian national Alexander Vinnik, who they accused of "looting" illegal profits amounting to an estimated €130 million. The European Patent Office has awarded three new patents to nChain, one of the influential groups leading the development for Bitcoin Cash. The inventions, led by nChain Chief Scientist Dr. Craig Wright, are all methods for enforcing digital rights using blockchain technology. CoinGeek.com took the top spot among Bitcoin Cash (BCH) miners over the weekend, a testament to the rapid progress its Antiguan-based Mining Division has made shortly after mining its first Bitcoin BCH block in January. CoinGeek compares eight cryptocurrencies—Bitcoin Cash (BCH), BTC, ETH, XMR, LTC, XRP, DASH, and IOTA—from the top 15 coins by market capitalization to find out which of these cryptos has the best attributes of a functional cryptocurrency. CoinGeek has already seen three impressive drafts of white papers solving the token and smart contract issue, and expects the solutions to be rolled out before the CoinGeek Conference in November. Luxury online marketplace Fancy.com is giving a special discount to shoppers who pay with cryptocurrency, preferably Bitcoin Cash or BTC. A group of developers working on the Chainbet project have rolled out a prototype that features on-chain messaging, which allows players to communicate with each other. The higher-ups in the EOS network have reportedly ordered freezing 27 more accounts without any reason given, at least for now. A New York judge has ordered federal authorities to freeze the assets linked to Dominic Lacroix, the Canadian man behind the alleged “fast-moving” PlexCoin investment scam. Tom from Wisconsin is the new owner of the third Ayr United Bitcoin Cash jersey that CoinGeek is giving away. The New York State Department of Financial Services has approved financial services provider Square Inc.’s application for a BitLicense, making it the ninth company to hold the virtual currency license or charter in the state. Finance professors in the Economics and Management School of Wuhan University in China have been teaching that Dr. Craig Wright is the person who founded Bitcoin. CoinGeek, which recently became the jersey sponsors of the Scottish football club Ayr United, has placed Bitcoin BCH on the front of the jerseys to help promote Bitcoin Cash to the masses. Cryptocurrency payment processor BitPay rolled out in March a new feature that directly accepts BCH, the only true Bitcoin and world's functional cryptocurrency. Electron Cash, the light wallet specifically designed for Bitcoin Cash (BCH), is coming to iOS in June. Mike Hearn's crowdfunding app Lighthouse.cash marks its return to the cryptocurrency ecosystem, thanks to Bitcoin Cash. We at CoinGeek.com recently became the jersey sponsors of the Scottish football club, the Ayr United, and one of the great things that come with sponsoring a football club is swag—we have three Ayr United FC jerseys to give away. The Bitcoin Cash adoption continues, and this time the cryptocurrency—considered to be the only true Bitcoin and world’s only functional cryptocurrency—has found support in two more trading platforms. Seattle-based cryptocurrency exchange Bittrex has found a bank partner, allowing it offer U.S. dollar trading options to customers in select states in the country. The U.S. Securities and Exchange Commission has gone after a self-described "blockchain evangelist" who it ​said fabricated connections with companies like Disney to promote his company's ICO. Cryptocurrency traders who still haven’t converted to real-name accounts on Bithumb will face reduced withdrawal limits starting June 4. Cryptocurrency trading app Taylor has fallen victim to a hack, resulting in the loss of 2,578 ETH worth about $1.5 million as well as 7 percent of its total TAY token supply. At the recently held CoinGeek Conference in Hong Kong, Bitmain co-founder Jihan Wu took to the stage where he talked about the future of cryptocurrencies in the financial market scene. In a petition for writ of certiorari filed to the U.S. Supreme Court, Ulbricht's attorneys argued that the case has "unresolved constitutional questions." OB1 rolled out OpenBazaar version 2.2.0, which offers a slew of new features and improvements—the biggest of which was the ability to buy and sell cryptocurrencies on the platform. In his speech at the recently held TOKEN2049 event in Hong Kong, Dr. Craig Wright described HODLing as the new form of hoarding. An Incheon District Court judge has fined two men accused of using a pyramid scheme involving fake virtual currencies to reap $20 billion from South Korean investors. To help application developers navigate the complexities of blockchain development, nChain—one of the influential tech groups leading the development of Bitcoin Cash (BCH)—has rolled out version 1.0 of its new Nakasendo software development kit (SDK). The nChain chief scientist took the stage at the Deconomy 2018 blockhain forum in Seoul to debunk the myths perpetuated by Blockstream, which were designed to take away the power of Bitcoin and basically tell everyone that it needed to be fixed. The proposal is simple: Use “verified” to let merchants know that their transaction has received its first confirmation on the network, and that the second confirmation—when the transaction gets written on the blockchain—is coming right up. Bitcoin.com owner Roger Ver was pitted against Blockstream Chief Strategy Officer Samson Mow in a panel discussion that tackled the controversial question, “Can Bitcoin Scale?” The result, as expected, was a tension-filled exchange between the two panelists. More than 50 teams are taking on CoinGeek.com's tokenization challenge, which will shape the next evolution of the Bitcoin Cash (BCH) blockchain. Forget all the nonsense coins and look at the cryptocurrency space from a platform perspective. Essentially, there are only four cryptocurrencies in existence, and these are the four with the largest market capitalization. The Terab project is looking for talented software engineers as it works to address the most difficult scaling problem of Bitcoin BCH: managing unspent transaction outputs (UTXO) dataset. nChain Chief Scientist Dr. Craig Wright publishes research paper that proves Bitcoin's scripting language is Turing complete. The biggest minds in Bitcoin are all set to take on the challenge of revolutionizing transactions not just for today, but for the future. The tech giant has begun supporting BCH payments, giving its users another option for topping up their Microsoft.com account balances. The government has banned its officials from holding virtual currency and participating in cryptocurrency-related transactions. It has been a fairly busy week for the cryptocurrency sector in Russia. CFTC general counsel Daniel Davis told staff that they can trade digital tokens like they would corn, oil, precious metals, and other commodities. Wozniak bought BTC when they were going for $700 each, which means that in today’s trading, the stolen digital coins were already worth roughly $75,441. Some members of the dev community are urging caution on the proposal to add OP_GROUP to BCH software. A glitch that lasted for 18 minutes gave at least seven Zaif customers a brief window to get their hands on some free coins. The exchange announced that it has teamed up with EOS.IO, a blockchain protocol for decentralized applications. Regulators will be knocking on exchanges that have pending license applications to check their risk management systems. Prosecutors in Vienna have launched an investigation into a company that promised outsized returns via arbitrage trading. A group of exchanges wants to hook up cryptocurrency wallets with India’s national ID system. Members of the virtual currency task force are examining a “cryptocurrency exchange approval system” based on New York’s BitLicense, according to reports. Customers withdrew a total of JPY40.1B on Tuesday, the first day Coincheck allowed users to get their money out of the troubled exchange. BitPay simplifies the process for merchants, while also making sure that the retailers are paid fairly, according to CEO Stephen Pair. With its promise of delivering a game-changing ecosystem, Centbee attracts the attention of not just high-profile investors, but also local media outlets. The San Francisco-based digital currency exchange sent out 1099-K tax forms to clients in the U.S. who have made “plenty of transactions” in 2017. To avoid violating domestic rules, the Moscow-based bank is reportedly planning to offer cryptocurrency trading to international customers. The chief scientist of blockchain technology and research firm nChain Group has set the record straight once and for all. Scientists at the National Institute of Standard and Technology (NIST) said the title of the original blockchain belongs to Bitcoin Cash. The lack of central exchange is putting many gov't in a bind, resulting in regulations that seek to stifle the growth of the sector. But it’s not all bad. Bitcoin is gaining even more mainstream attention, thanks to early investor Roger Ver. The confusion and friction over a reported proposal to shut down cryptocurrency exchanges in SoKor continue this week, and investors are having none of it. The mining operation is spearheaded by Antiguan citizen Calvin Ayre, who has invested in both hardware and software to build the hash rate of BCH. A week after announcing that they have “cleared” their transaction backlog, Coinbase is beset once again with another technical issue. The JPMorgan Chase chief said he “regrets” calling the cryptocurrency a fraud. Organizers of The North American Bitcoin Conference announced that they will no longer accept SegWit1x (BTC) payments for tickets to the two-day conference. Open source web tool BlockExplorer has gone all in on Bitcoin Cash (BCH), the true remaining Bitcoin as intended by the Satoshi whitepaper. Yet another company has stopped accepting SegWit1x (BTC) as a method of payment for its products, according to reports. The value of BCH has surged over the weekend even amid reports of a crackdown on cryptocurrency accounts at major banks in South Korea. VISA Europe suspends dealings with WaveCrest Holdings, rendering cryptocurrency prepaid Visa debit cards unusable. Merrill Lynch has barred its roughly 17,000 financial advisers from buying SegWit1x (BTC)-related investments on behalf of their clients. The Kremlin-backed CryptoRuble could become Russia’s useful tool for carrying out “sensitive activity on behalf of the state." Seychelles Islands-based cryptocurrency trading platform BitMEX has liquidated all its users’ Bitcoin Cash (BCH) holdings for SegWit1X (BTC). Israel’s financial regulator has announced proposals seeking to effectively ban companies dealing in Bitcoin from listing on the Tel Aviv Stock Exchange. BitPay announced on Friday that it has raised the minimum transaction amount for eCommerce merchants to $100. For Canadians who want to buy Bitcoin Cash (BCH), life just got easier. Bitwala announced that it will not support the so-called New York Agreement (NYA), despite being a signatory of the said consensus. A publicly traded Canadian bitcoin company has caught the watchful eye of the U.S. SEC after its stock ran up more than 6,000% in 2017. It may have been a long time coming, but Vietnam is finally ready to get on board the cryptocurrency train. A Canadian company’s announcement to rebrand as a cryptocurrency exchange has resulted in a trading suspension from the U.S. SEC. The board of Uber has reportedly voted over the weekend to bring in Expedia CEO Dara Khosrowshahi to lead the ridesharing company. South Korea doesn't want to take the back seat in the Bitcoin train and there’s no turning back for the Asian country. Bitcoin is no longer the currency of choice on the dark web. You probably noticed that sending the digital currency from one address to another now comes with a hefty price tag. Several weeks after its original website was seized by U.S. authorities, BTC-e is back online. There's no denying that Bitcoin and cryptocurrencies in general are steadily gaining the interest of people from all walks of life. Three businessmen have found out the hard way that trading bitcoin and other digital currency is not legal—yet—in Russia. Bitcoin has hit a slump after the People’s Bank of China ordered a ban on fundraising activities that use initial coin offerings (ICOs). Bitcoin now holding at $4,000—professional mining groups with specialized computer chips now have been dominating the creation of bitcoin. Now that Bitcoin Cash has proven that larger blocks is feasible, the path has been paved, so to speak, towards taking this to a new level. Last month, a group of miners split off from the main Bitcoin network and created a new cryptocurrency called Bitcoin Cash. Bitcoin is being battered again with reports that Chinese authorities are planning to close digital currency exchanges in the country. After years of flip-flopping on the issue, Russia is finally moving ahead with its plan to regulate digital currencies. Bitcoin payment processor BitPay recently rolled out the beta version of its open source Copay wallet. Jamie Dimon went on a tirade last week in a conference in NYC, where he condemned Bitcoin and threatened to fire any employee who will trade the bitcoin. It’s been seven weeks since the blockchain split, and the Bitcoin Cash network is growing stronger as the days continue with more supporters. Roger Ver perfectly shut down a heckler who interrupted his speech at a blockchain conference in Hong Kong. The Australian government has finally made good on its promise to end the double taxation of cryptocurrencies, such as Bitcoin. Data analytics company FICO has developed a system that will collect financial data from Bitcoin exchanges. The search for new ways to raise money has paved the way for the rise of the so-called Initial Coin Offerings, or ICOs. Bitcoin Unlimited’s members voted over the weekend in favor of the initiative that seeks to determine how large blocks Bitcoin can handle. Another country has refused to fall for initial coin offerings’ (ICOs) “new language, same game” schemes. Should hard forks exist? That was one of the big questions raised and debated at a forum in Hong Kong. nChain, once described as a secretive Bitcoin startup, is not so secret these days. Divisions are starting to emerge on Wall Street following reports that banking giant Goldman Sachs is now taking Bitcoin seriously. Before Bitcoin adoption can grow any further, consumers and operators first need to be sure that their private keys cannot be stolen. A new coin is coming, and this time, it may lead to the death of legacy Bitcoin. With a month to go before the November hard fork, Bitcoin.org is launching a full-blown attack against 50 companies supporting SegWit2X. The Chinese government is reportedly preparing to allow the resumption of cryptocurrency trading in the country in the coming months. Make no mistake, however, Bitcoin Gold’s agenda is different compared to Bitcoin Cash nor the upcoming SegWit2X hard fork in November. The Russian Central Bank announced its plan to block its citizens’ access to websites of exchanges offering cryptocurrencies like Bitcoin. Authorities in Russia are finally on the same page regarding the issuance and circulation of cryptocurrencies like Bitcoin in the country. SurBTC has announced on Wednesday it is no longer supporting SegWit2X that is scheduled to happen in November. Bitcoin Unlimited's Peter Rizun announces that the world's first 1.0001GB block has been mined and propagated on the Gigablock Testnet. Prompted by the rising volume of domestic Bitcoin trading, regulators in South Korea are now considering imposing tax on the use of cryptocurrency. SegWit Gold (SWG) is looking to fork in less than 10 days. The project, led by Jack Liao of Hong Kong mining firm Lightning ASIC, is seeking to change the proof-of-work (PoW) algorithm. The Philippine central bank, or Bangko Sentral ng Pilipinas (BSP), released a set of regulations for domestic virtual currency exchanges. Authorities in Australia have turned their attention to revising the current AML/CTF which has been on the back burner since 2016. A Kremlin-backed digital currency is coming to Russia, making it the first country to launch a cryptocurrency initiated by the government. Just like corn and oil, tokens issued via initial coin offerings (ICO) may soon be considered commodities in the United States. Craig Wright: What is true Bitcoin? People are familiar with Bitcoin as the cryptocurrency, but the truth is, it has the potential to become more than that. Digital currency exchange Bitfinex is bidding farewell to its U.S. customers. The Monetary Authority of Singapore has stepped up its warnings over SegWit1x (BTC), in the latest caution by the global banking institution. Authorities in Japan have arrested the head of an exchange handling virtual currency Ripple on suspicion of fraud, local media outlets reported. Change is coming for Bitcoin (BCC), the real Bitcoin as envisioned in the original Satoshi wallpaper. Cryptocurrency exchanges and service providers have started coming out of the woodwork to reveal their contingency plans for SegWit Gold (SWG). In case you missed it, SegWit2X (SW2) is now going by another name: ShitCoin2X. London-based payment services provider Wirex is expanding its Asian presence, and its first stop is the cryptocurrency-friendly Japan. Despite the lack of support from majority of the community, SegWit Gold (SWG) has debuted. And of course, it happened with a touch of drama. A new cryptocurrency is coming, and it promises to remain secure even under high throughput and fast confirmation times. Sounds familiar? Even though it is gaining a massive following in Asia, cryptocurrencies like Bitcoin (BCH) poses no risks—for now—to warrant regulation in Singapore. Another day, another FUD [fear, uncertainty & doubt] about Bitcoin. This time, the target is Bitcoin mining & its effect on the environment. Although it's a combination of cryptography & mathematics, Bitcoin’s solution to the consensus problem is rooted in economic principles. Bitcoin (BCH) works best when used as a cash system. After all, it is designed to work as one. The dev team behind Bitcoin ABC has rolled out a code geared towards on-chain scaling, proving that there is no need for any other public blockchains. Two companies have applied to create what would be the first exchange-traded funds (ETFs) to track the blockchain ecosystem. Day trader is facing charges of fraud and market manipulation in connection with a scheme that allegedly involved transferring proceeds into BTC. November marks the end of an era in China: BTC trading on domestic exchanges is now banned in the country. BTC and other cryptocurrencies is still shunned in India, & central bank is showing no sign that it will budge from its stance anytime soon. Thirteen websites specializing in cryptocurrency are now restricted in Russia as the government sets out to limit cryptocurrency trading in the country. Bitcoin (BCH) extended its recent gains this week, crossing the $800 threshold to record a new all-time high. To put an end to the ongoing ambiguity surrounding the legality of cryptocurrencies in India. The mad rush to Bitcoin over the weekend has caused a major congestion in the network, forcing one service provider to suspend its exchange features. An outspoken critic isn’t stopping JPMorgan Chase from examining the merits of entering the BTC futures market. The price jump follows news that more digital currency service providers listed BCH, the true Bitcoin as intended by the Satoshi white paper. BitFlyer, Japan’s largest cryptocurrency exchange by trading volume, has cleared another hurdle in its bid to set foot on U.S. soil. Cryptocurrency BTC has cleared the $11,000 barrier for the first time on Wednesday. The lengthy legal battle between Coinbase and the U.S. IRS has finally come to a close, and it was the tax agency that emerged victorious. In yet another example of Japan doing things right, the Japanese FSA has allowed four new cryptocurrency exchanges to operate—legally—in the country. British government is looking at increasing the regulation of cryptocurrencies like Bitcoin to fight against criminals. U.S. SEC is going after the Canadian man behind a digital currency investment scam that falsely promised a speedy, 13-fold profit to unknowing investors. JPMorgan Chase has been in the headlines recently after CEO Jamie Dimon drew the line against dealing with “fraud” Bitcoin. India’ central bank has sounded the alarm—again—against investing on cryptocurrencies. But is anyone really listening? The popularity of SegWit1X (BTC) as a payment option has run out of steam—pun intended—with online gaming shop Valve Corp.
A bill that seeks to regulate Mexico's nascent financial technology sector, including cryptocurrencies like Bitcoin. A cryptocurrency exchange in South Korea has halted its trading operations to staunch the losses it incurred after it was hacked—again—this year. Emil Oldenburg has taken a leaf out of Roger Ver’s book and cashed in on Bitcoin Cash (BCH). The central bank of the Philippines is reviewing applications from at least a dozen companies looking to start a virtual currency exchange operation. BitPay announced over the weekend that it will “begin adding support” for a BCH payment options before the year ends, starting with the company’s BitPay Debit Card loads. There is no end in sight for blockchain startup Tezos’ legal woes.